I think the general complaint by anyone is that nail polish we buy in the shops doesn’t last long but we can’t always afford to be going to the salon every couple of weeks. Enter Essie Gel Couture. A nail polish that creates a gel-like manicure without a need for base coat or UV or LED lamp. My nails chip at the drop of a hat so I was excited to try it out. The colour range is a little more limited than the normal range but I did find this gorgeous dusty pink called Touch Up which is quite classic and perfect for every day wear. Firstly I tried without the top coat and I wasn’t overly impressed – there was no real increase in wear time and it took a very long time to dry. I found if you smudged or dented it accidentally it would make a real mess and I’d have to start again. I was about to resign this to the pile of rubbish nail polishes but I decided to purchase the topcoat – as it’s recommended you use as part of a 2 step system. Again I had the same issues with drying (it took about an hour to do 2 coats and a topcoat) but the finish was so much better. They looked super shiny like I’d had a professional gel manicure and whats more they actually lasted. I only started to get tipwear after about 5 days (usual time 2 days) but all were intact up to the 7 day mark with no chips which I was so pleased with. Although the drying time is frustrating – especially if you’re on your second coat and accidentally smudge it which seems to remove both coats – I loved the finish and the wear time, so I will be trying out some new shades because the end result outweighs the chore of drying. 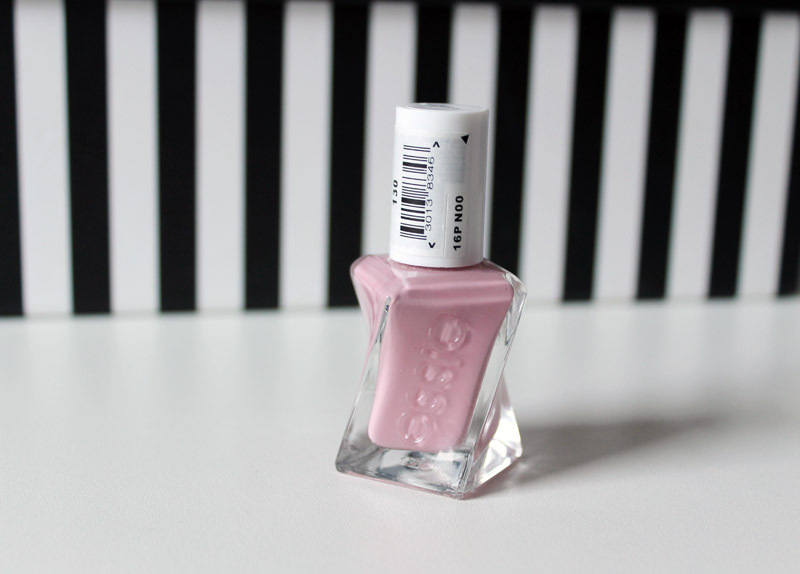 Have you ever tried Essie Gel Couture?